When Ronald John is elected President of the United States, he promises to make America 'pure' again by ridding the country of Middle Eastern immigrants. He and his supporters blame the Muslim community for the recent spate of terrorist attacks against decent, white American citizens. In Dearborn, Michigan, white supremacist Keith Blackwell, urged on by President John's inaugural hate-speech, firebombs a local mosque. Young Muslim woman Arya Khan believes Dearborn's police are apathetic to the crime and takes matters into her own hands. Whilst staking-out Blackwell's home, she witnesses a 'biker-type' thug stab him in the stomach. She frantically dials 9-1-1 as she watches the perpetrator flee. She rushes to Blackwell's aid and whilst trying to stem the flow of blood, unwittingly picks up the knife. The police arrive to find her holding the murder weapon and charge her with First Degree Homicide. Betrayal of Justice is a blatant poke at the current, real-life POTUS and his tough stance on immigration. Being British, I don't closely follow American politics but it doesn't take a genius to figure it out. The story is politically on-topic and explores what could happen should an immigration ban from Middle Eastern countries be implemented. Large parts of the book made for very uncomfortable reading; which is exactly what the author intended. Chapters 1 to 8 (I read the Kindle edition) could benefit from further proofreading - I spotted nine occasions when the female protagonist's name is misspelt. This is a big 'no-no' for me when I'm trying to establish each character's identity. Secondly, I didn't feel any excitement reading this book - the cards were laid on the table far too early. I guess it's just personal taste but I needed more thrills and spills. Lastly, the dialogue was slightly stilted. Perhaps it's a British-American 'lost in translation' kind of thing, but where I'm from, people don't structure their sentences quite so rigidly. Betrayal of Justice is a story right at the heart of the current political climate. It makes you contemplate where our future's heading and if it's a path we want to travel. Similarities to the persecution of Jews during WW2 cannot fail to surface. Never forget, democracy is a very powerful weapon. Use it wisely. My thanks to author Mark M. Bello and T.J. Hagen at Author's Herald for providing a copy of this book. In Washington D.C., a newly-elected president promises, in his inaugural speech, to “make America pure again.” In Dearborn, Michigan, a young Muslim woman, Arya Khan, watches President John’s acceptance speech in horror while a few miles away, a white supremacist, Keith Blackwell, watches the same speech with pure joy. Inspired by the new president's rhetoric, Blackwell fire bombs a local mosque. The Dearborn Police promise to investigate, but Arya fears that these cops are indifferent to the Muslim community and will not vigorously investigate. She takes matters into her own hands and conducts her own 'private investigation'. Arya identifies a suspect, follows him, and, in a twist of fate, witnesses his brutal murder. She calls 9-1-1 and rushes to render aid, but when the police arrive, all evidence points to Arya as the murderer; she’s arrested, jailed, and formally charged. When the news story reaches the president, he seeks to deport Arya's immigrant parents. 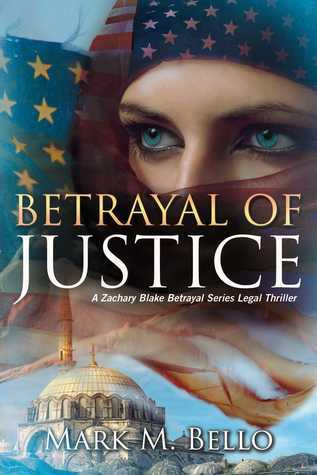 Zachary Blake (the central character of Bello’s debut legal thriller, Betrayal of Faith) returns as the trial lawyer for the family and drama plays out in both criminal and immigration courtrooms. But as the Dearborn Police seek to complete their investigation, an organization of white supremacists tries to thwart any attempt to tie its group to the murder and mayhem. Can Zachary Blake and his crack private investigator, Micah Love, save Arya from a murder charge and her parents from deportation? Can this innocent family expect justice in this new, "pure" America, an America that has lost its way? Mark M. Bello is an attorney and award-winning author of the Zachary Blake Legal Thriller Series. A Michigan native, Mark received his B.A. in English Literature from Oakland University and his law degree from Thomas M. Cooley Law School. After working extremely high profile legal cases, Mark wanted give the public a front row glimpse of what victims face when standing up for justice. 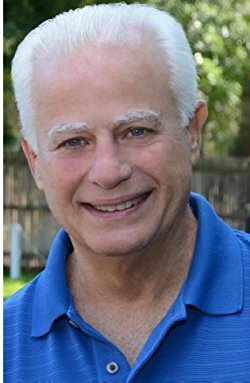 Combining his legal experience and passion for justice with a creative writing style, Mark not only brings high quality legal services to his clients, but captivating novels to his readers. When Mark’s not writing legal and political novels, he writes and posts about fairness and justice in the civil justice system on his website, Legal Examiner and Injury Board. He is currently working on his third novel which is due out in early 2018. In his spare time, Mark enjoys traveling and spending time with his family. Mark and his wife, Tobye, have four children and 8 grandchildren.